Welcome to Elf Cozy's Workshop! 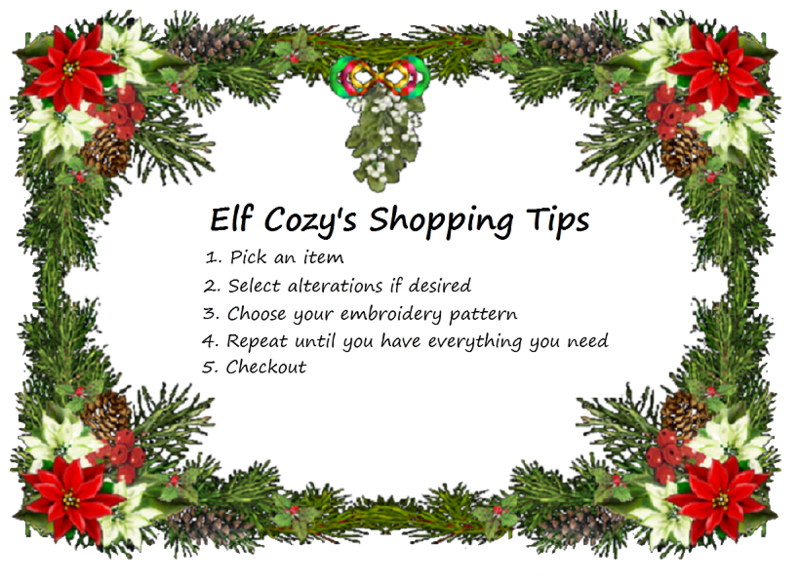 Custom Clothing and Accessories for Santa. Santa's Wardrobe Needs To Be Real Nice!